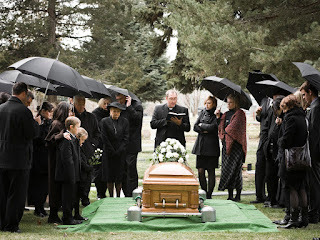 Funerals can lead to significant expenses as well as worries, due to the fact that all of them have to be paid up front. And, this is when the family is already going through a tough time. If they have to pay for your funeral too, it can get difficult for them if the expenses are unplanned. This is where funeral insurance comes in. It covers all your funeral expenses, leaving your family at ease. The amount is paid lump sum directly to the beneficiary you nominate. And the best part is that this is done within just a day or two from when a claim is made. The premiums are made monthly, but you have two payment options two choose from, namely level and step. Why should you buy a funeral plan? Because you can get a good coverage amount, right up to $30,000. Select the most suitable coverage level that is enough to bear all your funeral expenses, while ensuring that you have the kind of funeral which you do want. Coverage is guaranteed as long as you are between 18 and 70 years of age. And no, you don’t have to pass any medical tests or meet other requirements. Worried about inflation? Well you can increase coverage every year, and keep up with it. A lot of Australian insurance providers do offer this feature, so it shouldn’t be an issue. Some insurance companies offer discounts. For instance, if your cover exceeds $20,000, you can get some kind of discount on your premiums. And, if someone else also buys funeral insurance with you, then you can get higher discounts on premiums. Applying for funeral insurance is easy, if you choose Freedom Insurance, an Australian funeral insurance company. You can conveniently and quickly complete the process. Well, at times you do, but we don’t think any of these are as reliable as getting a separate funeral insurance policy. Anyway, let’s take a look at them, and then we’ll talk about why these aren’t a great choice. While most of you would have savings, they are usually meant for emergencies and retirement, and may not be able to cover your funeral expenses. Maybe, you could start saving for funeral from now onwards, but come on, when you retire, how much of it would you be able to stack away, when there is no source of income other than your retirement savings? Get the point? Savings can cover your funeral, but you can’t truly rely on them. Life insurance can cover debts, mortgages and funeral as well, if you buy some relevant add-ons or extra coverage. Sounds good? Yes it is, expect that your premiums would rise significantly, and increase even more than the ones you’d be paying through funeral insurance. So, don’t go for any of these options, and buy a proper funeral policy to save your family from financial trouble in stressful times.